OPEN POSITIONS AT SPRING LAKE PARK LUMBER CO. Deliver, load/unload, and pick up building materials in the metro, surrounding locations as assigned by the dispatcher. Assist in a variety of other yard duties including pick orders/write up credits/receive product/assist customers/yard clean-up/stock product (including heavy items)/drive forklift/ other inventory related duties. 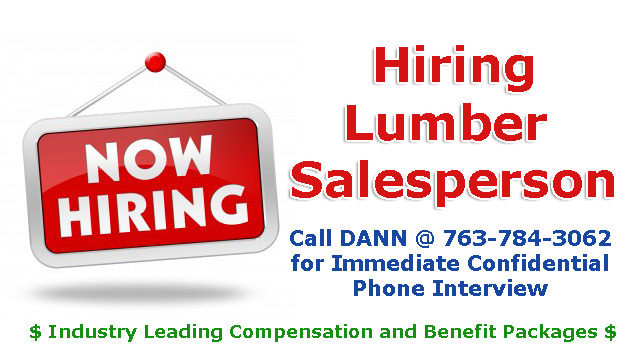 Spring Lake Park Lumber Company is looking for an experienced front counter salesperson to sell lumber and related building products to contractors/remodelers and retail customers. The ideal person will have past experience selling windows (various brands) and doors. In addition, the candidate must have good computer skills, excellent communication, and the ability to multi-task in a fast paced environment. 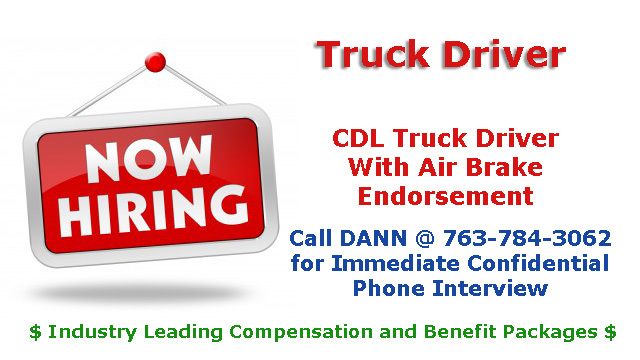 This is a full-time, day shift position and will include competitive benefits and wages. Spring Lake Park lumber company is looking for an energetic person who can assist in a variety of yard and inventory duties including pick orders/receive product/assist customers/yard clean-up/stock product/drive forklift and other related duties. This person must be able to lift/carry up to 50-75 lbs or higher on rare occasions. The ideal candidate will also have good written and verbal communication skills as well. This position is the shift with up to 40 hours per week. If less hours our days are requested, this would be accommodated with the ideal candidate.